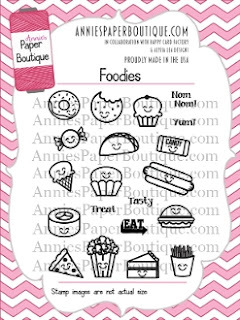 You can find these products in the Boutique to create your own fun treats! Hello everyone! I'm Helen from HTB Creations. 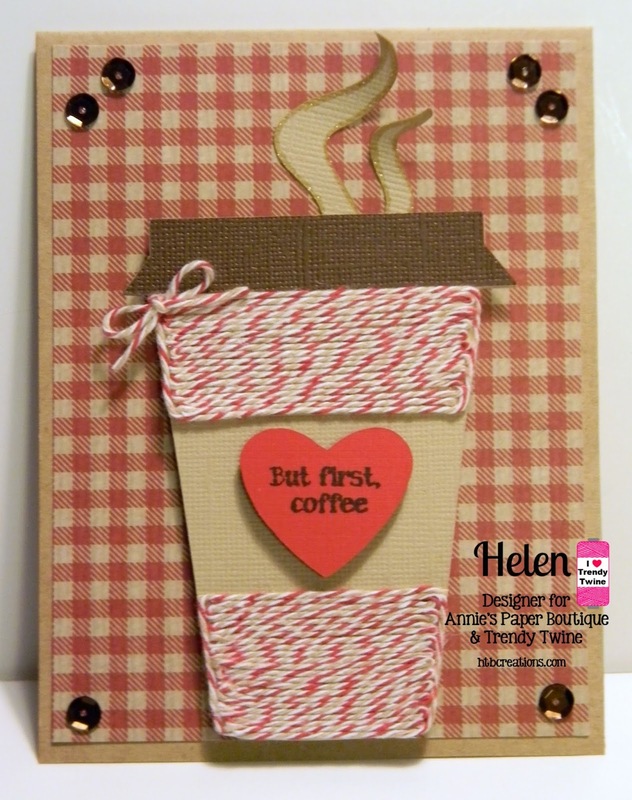 Today I have a coffee card to show you featuring the fabulous Cherry Latte Trendy Twine. I cut the coffee cup from a file on Design Space. It's about 4 inches tall. 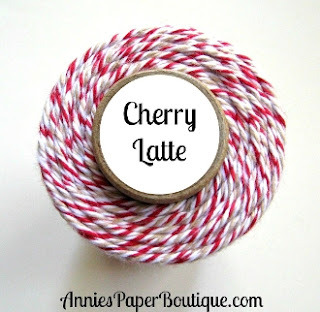 The cup was a bit plain so I decided to fill around the 'wrap' with my Cherry Latte Trendy Twine. 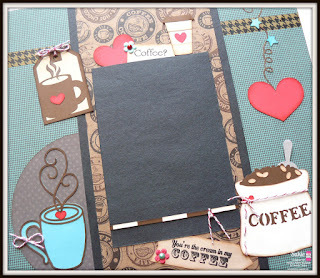 I pop dotted the little heart on after I stamped the sentiment from the Need Coffee stamp set. To finish it off, I added some brown sequins and a bit of gold Wink of Stella pen to the 'steam'. We've got something fun coming on Thursday so I hope you check back in. 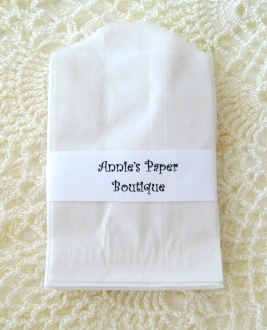 And be sure to head over to Annie's Paper Boutique for all your Twine and packaging needs! 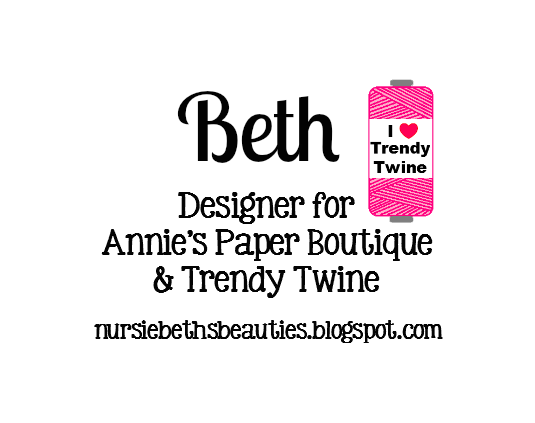 Trendy Twine....No tricks, just Treats! I just LOVE this time of year...leaves up here will be starting to change soon, apple picking and of course PUMPKINS! 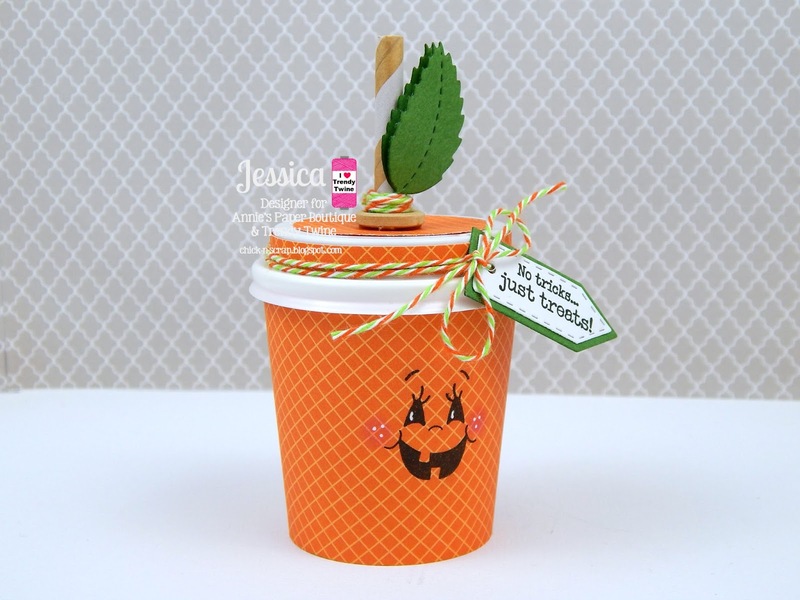 For my project today, I used the adorable Mini Coffee Cup and turned it into a pumpkin. I started by wrapping the cup with some designer paper and stamped my cutie Peachy Keen pumpkin face on the front. For my top...or the stem, I used a wooden button and placed a striped piece of the straw onto the button. I die cut some leaves and hot glued everything to the button. To cover the hot glue, I wrapped some Halloween Lime Orangesicle Trendy Twine several times around the base. 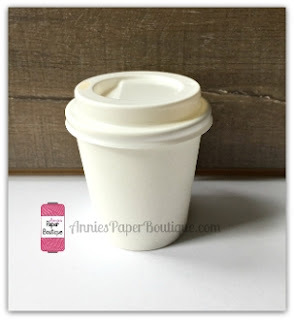 To finish my project off, I wrapped some more of the designer paper around the lid of the cup as well as added a die cut circle to to the top in which the button embellishment was adhered to. I took some more of the Halloween Lime Orangesicle Trendy Twine wrapped it 2 times around the lid and attached my sentiment tag with a bow. 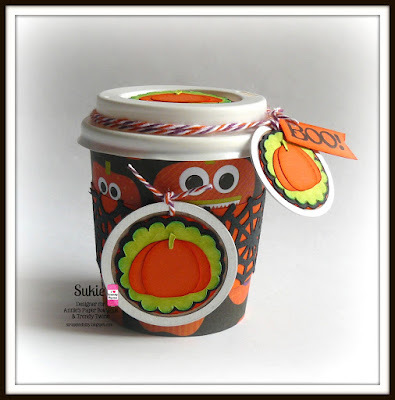 Filled with some candy or a Pumpkin Coffee K-cup, this would make a fun gift to give! I started this card by piecing together my patterned papers and layering them to my card base. I used my Silhouette Cameo to cut out a Coffee Cup. I added some Cherry Latte Trendy Twine to the cup for a decorative touch. I mounted it to the front of the card using foam adhesive to give it some added dimension. 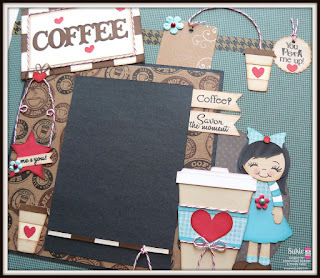 I ran a length of Cherry Latte Trendy Twine across the front where the bottom layers of the patterned paper pieces met. I created a fussy bow which I embellished further with a double bow created from Cherry Latte Trendy Twine, and a button laced with the twine as well. 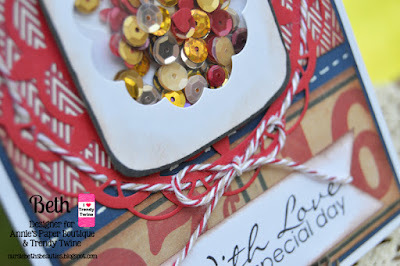 Lastly, I just stamped and added my sentiment to the card front to complete my project. 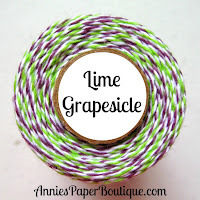 You can find this fabulous Twine on sale at Annie's Paper Boutique. I thank you for stopping by! 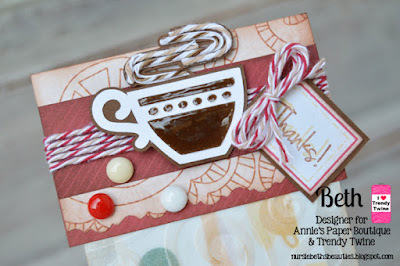 It's Tammy, and I am sharing a Hot Cocoa gift treat showcasing this months AWESOME Mini Coffee Cups, Mini Spoons, and Cherry Latte Trendy Twine. I always get swamped at the holidays, so I try to start working on gifts for these occasions early. I made a little basket of Holiday Cheer! I started by decorating my Mini Coffee Cup with some designer paper. I made a belly band from kraft paper and ran it through my paper crimper to give it the corrugated cardboard look. I used some die-cut labels to attach my greeting and I wrapped the top with Trendy Twine's Featured twine this month: Cherry Latte Trendy Twine. 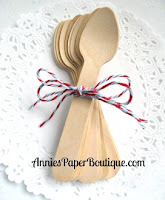 I then added the contents to make Peppermint Hot Cocoa into a bag and tied off adding Cherry Latte Trendy Twine gift tag and a decorated Mini Wooden Spoon. Next I took a paper berry basket adding Kraft Paper Shreds and folded a doily over the top to the outside. Wrapping some more amazing Cherry Latte Trendy Twine adding a cluster pine cone embellishment. 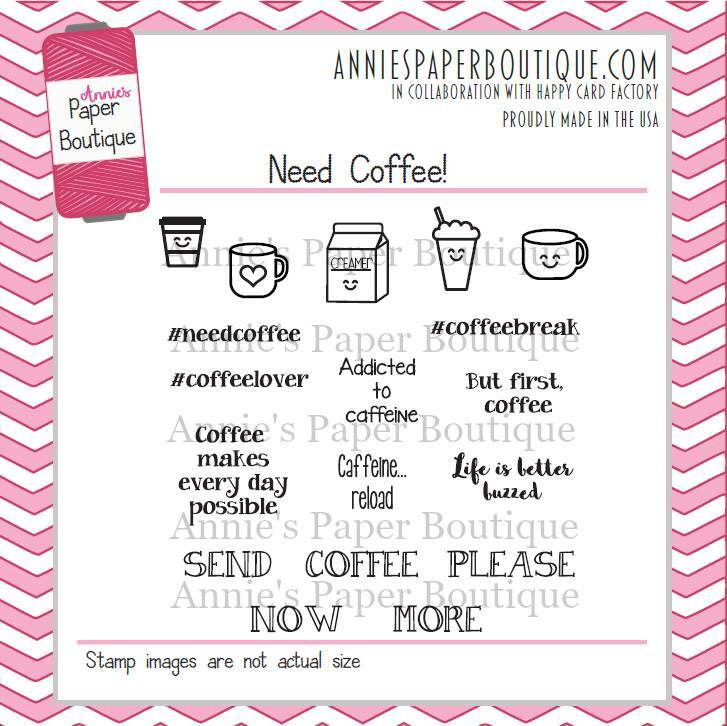 I am closing out the month with these awesome features and I hope you stop by Annie's Paper Boutique and pick some up for your gift giving needs while they are on sale. Good Morning! 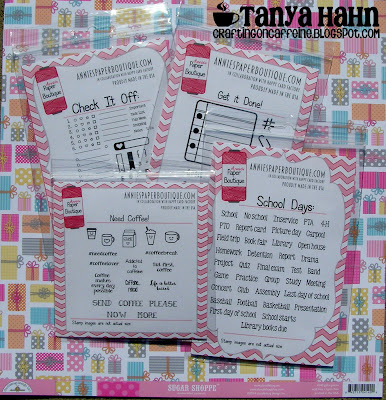 It's Tanya from Crafting on Caffeine. I'm so happy to be guest designing today and excited to share my planner layout with you. What better week than my birthday week? As you can see, I used a few different stamp sets and I've got those listed below. The Starbucks metal clip goes perfectly with my coffee theme, too. Of course, you knew I would have to add Trendy Twine into my planner! I used Grape Fizz! I used the "need coffee" mini cards to make sure I don't forget what food I am planning for our party. 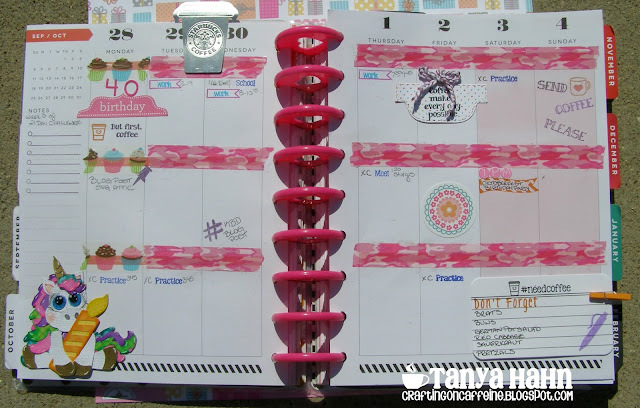 Here are all the planner stamps I used. Oh and of course one more look at my day! Thank you for stopping by and thank you, Lesley, for the opportunity! Hello everyone! This is Sukie with a coffee themed double paged layout featuring Cherry Latte Trendy Twine. This double page layout is a fun representation of my recently found love for coffee. I created the layout pages using Cafe Coffee Girls cutting file from KaDoodle Bug Designs. The girls face was stamped with Rosie's Favorites Face Assortment Peachy Keen Stamps. 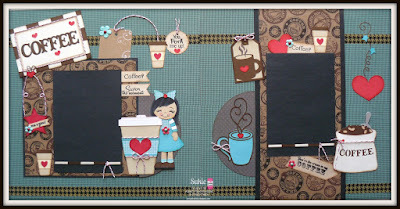 The die cuts for my layout came from the Love You A Latte, Holly & Ivy and Summer Celebrations Cricut cartridges. 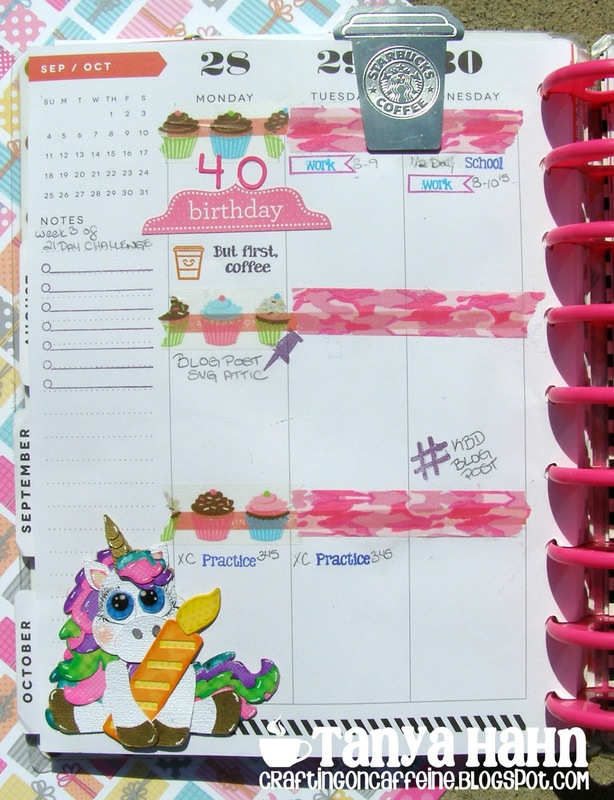 Some fun washi tape was adhered along the top and bottom edge of my layout pages. I did a lot of embellishing with the Cherry Latte Trendy Twine. 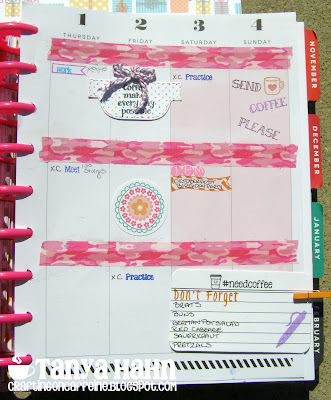 Not only did I outline several of the cuts on my page with the twine, I also used it as an accent, the color combination was perfect. 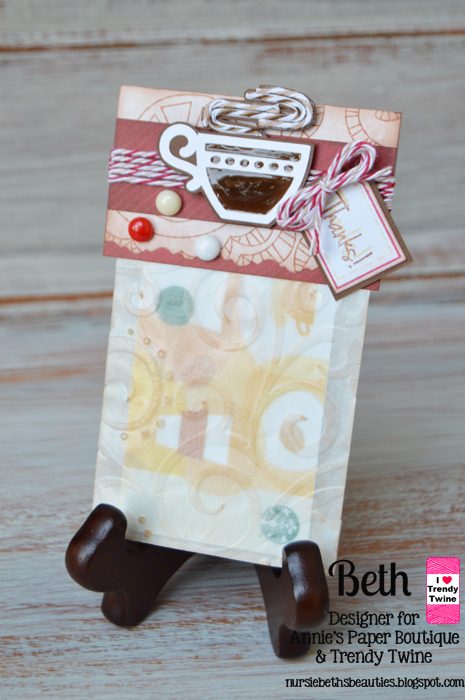 All of the sentiments are from the Scrappy Moms Freshly Brewed stamp set. 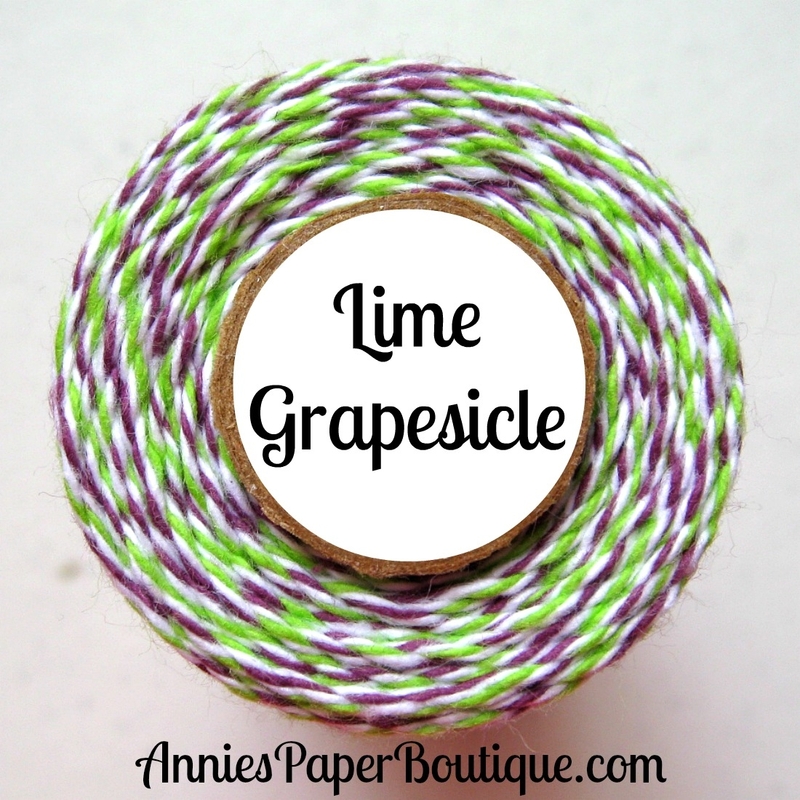 Head on over to Annie's Paper Boutique to pick up this gorgeous twine. Thanks so much for stopping by and have a wonderful day! Hello everyone! 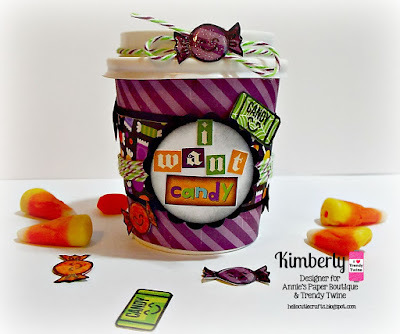 This is Sukie with a fun project featuring Spooktacular Taffy Trendy Twine, and these adorable mini cups which the design time has been spotlighting this entire month. 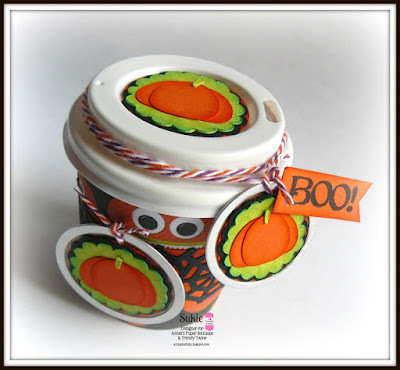 For my project, I went with a Halloween theme and also used these adorable Kraft Metal Rim Tags which are new in the store. After I covered my mini cup with some fun Halloween paper, I adhered a punched web border over some solid card stock and wrapped the coffee cup to create a sleeve. One of the metal rimmed tags was adhered to the front of the cup while the other one was added as a tag. The embellishments for the metal tags were cut from the Creepy Cookies cutting file from KaDoodle Bug Designs. 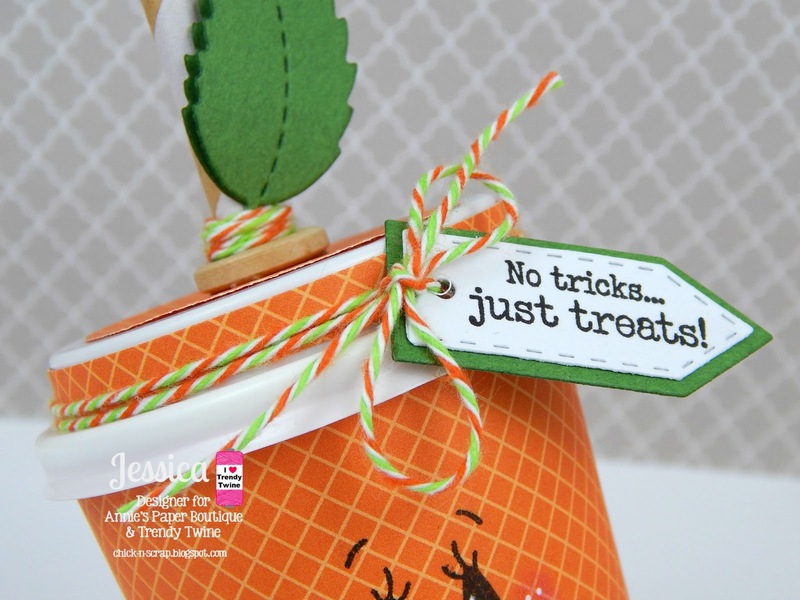 The Spooktacular Taffy twine was the perfect color combination for a fun embellishment not the lid of the coffee cup and on the tag. I tucked in a small sentiment from the Scrappy Moms Bewitched stamp set. Stop by Annie's Paper Boutique to pick up this gorgeous twine, these adorable mini cups and kraft metal rim tags. Thanks so much for stopping by and have a fabulous day! 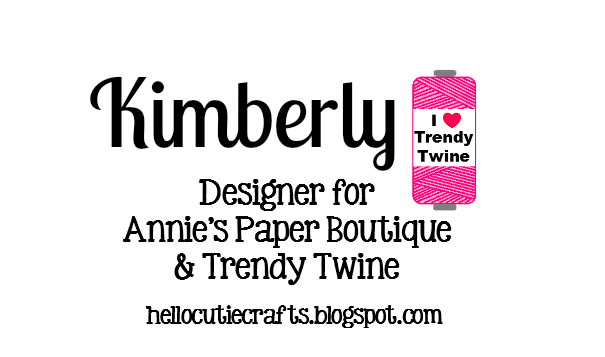 Trendy Twine- I want CANDY! 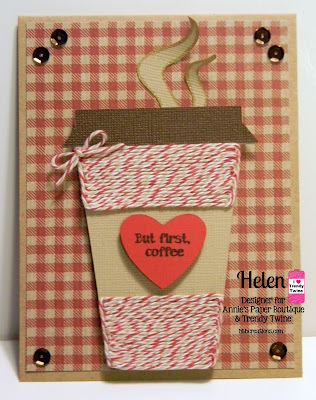 here today to share another Mini Coffee cup project. 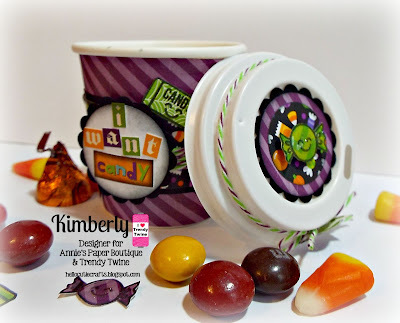 This time with a Halloween candy theme. 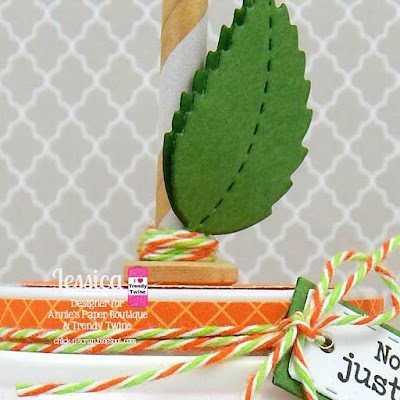 I used some Lime Grapesicle Trendy Twine and the Foodies stamp set. 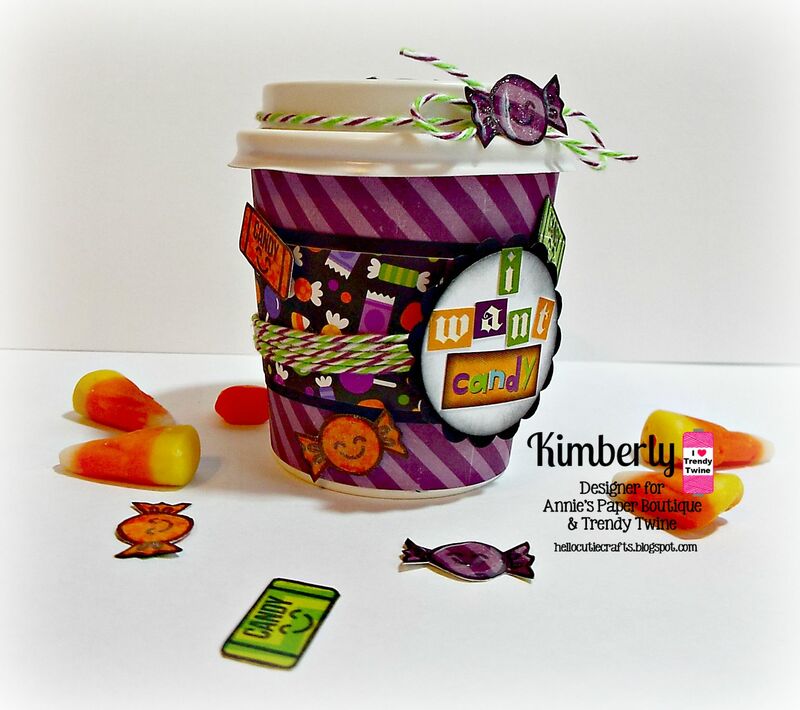 I stamped some of the candies and candy bars from the Foodies stamp set. I added some wink of stella and glossy accents for them to sparkle. The cup is filled with several different kinds of Halloween candy. A view of the top of the lid. I added one of the cute candies there. 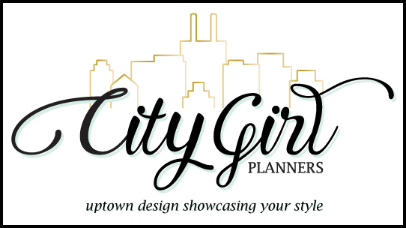 Check out all the rest of the details on my blog. Good morning! Beth from Beth's Beauties here. I created this vintage jar shaker card for Grandparent's Day, but it could be used for birthday, thinking of you and many other occasions just by changing the sentiment. I used a Jar stamp from Whimsy Stamps to create the shaker. 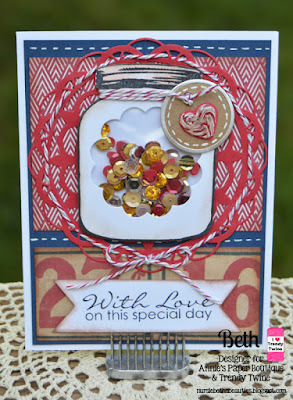 I tied a Petite Kraft Tags with Metal Rim around the top of the jar. On the tag I formed a heart out of Cherry Latte Trendy Twine and covered it with glossy accents for a shiny look. I also used the Cherry Latte Trendy Twine to weave through the red doily and tied it in a bow. I finished it off with a sentiment banner at the bottom. For more details, head on over to my blog, Beth's Beauties. Good morning Trendy Twine friends! Beth from Beth's Beauties here. Fall is coming soon and with the cooler days, many people like to drink coffee. So, what better gift to give than a gift card for that?! I started with a Small Glassine Bag and embossed it with a swirly embossing folder. It was the perfect size for a gift card! Then for the topper, I used pretty patterned paper and wrapped Cherry Latte Trendy Twine around it and also added a bow of that twine on the tag. 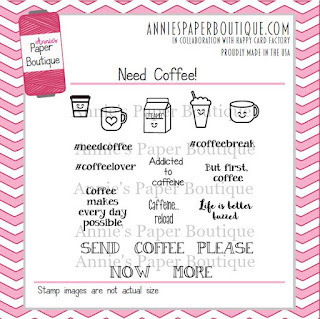 Then for the coffee cup, I used a file from SVG Attic's set called All I Need. I layered it with glossy accents and covered the steam with Chocolate Truffle and Krazy for Kraft Trendy Twines. 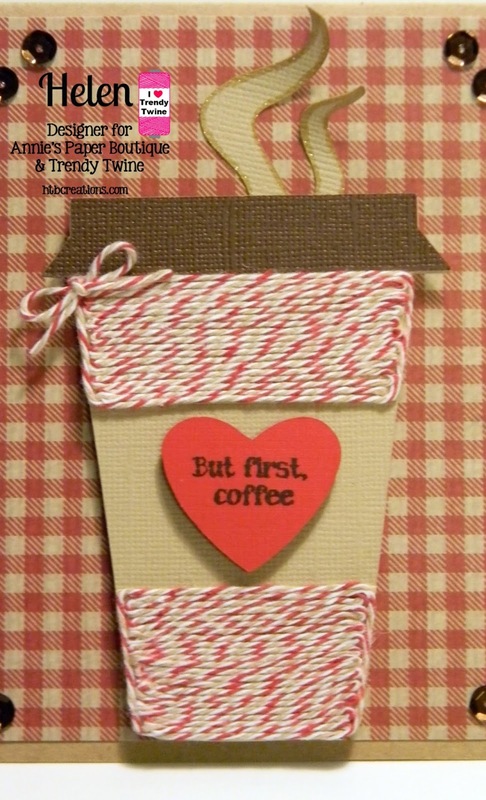 Trendy Twine - Need Coffee!